Our sliders are individually hand made to order by BudBuilt’s creative team. 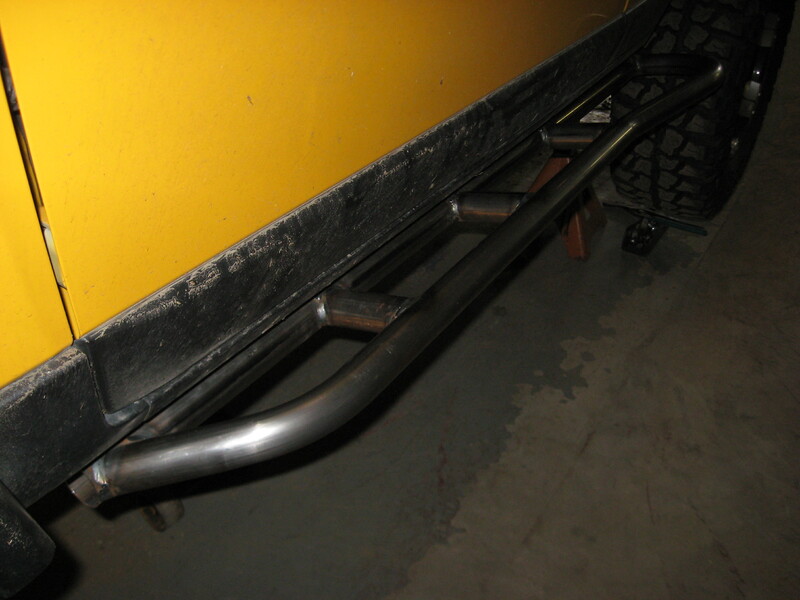 They bolt to the factory holes with the thickest plates in the industry ( 3/8") and .120 wall tubing. 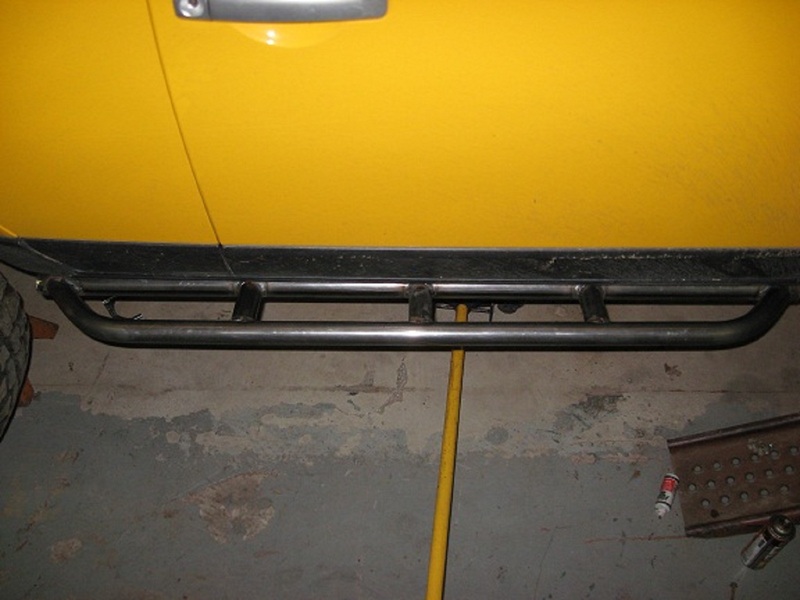 These protect your frame from bowing or cupping when the weight of your truck is carried by the sliders. There is a brace on 3 of the four legs to helps support the weight. The stock emergency brake lines fit with no modifications. They are used for a helpful step up into the vehicle also. They come with ultra-thick washers and grade 10.9 metric hardware to attach them. The Straight & Regular sliders weigh 50 pounds each for a total of 100 pounds for the set. Fill plates adds 5 pounds for partial fill and 10 pounds for full fill to each slider. All Sliders are sold in pairs (2). 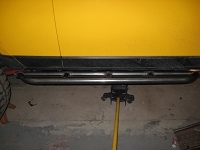 Fills the rear third of the slider, between the main and outer tubes, with 1/8" (3.175mm) American steel. This option is typically chosen in conjunction with our "kicker" option. Offers a wonderful step surface to better access the FJ Cruiser's roof or optional rack mounted accessories.